Tennis star Serena Williams says she found out the man convicted of killing her half-sister had been released from prison minutes before her worst-ever career defeat. 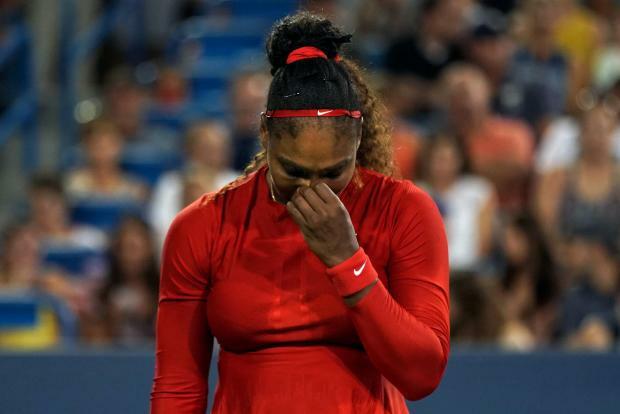 The 23-time Grand Slam singles champion suffered the worst defeat of her career, losing 6-1 6-0 to the British number one Johanna Konta in the first round of the Silicon Valley Classic in San Jose earlier this month. In an interview with Time, Williams says she was in a players’ area before her match in San Jose, with about 10 minutes until showtime, when she pulled out her phone and checked Instagram. Williams' elder half-sister Yetunde Price was shot dead in 2003, with Robert Maxfield jailed for 15 years in April 2006. Maxfield was freed on parole three years early due to good behaviour. “I couldn't shake it out of my mind,” Serena says. "It was hard because all I think about is her kids - what they meant to me and how much I love them."